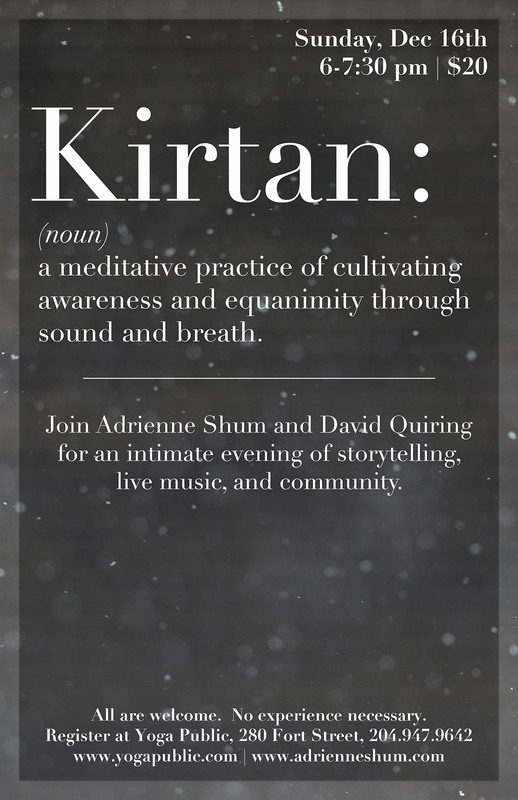 After taking some time off from leading kirtan over the summer, we are excited and buzzing with new inspiration! 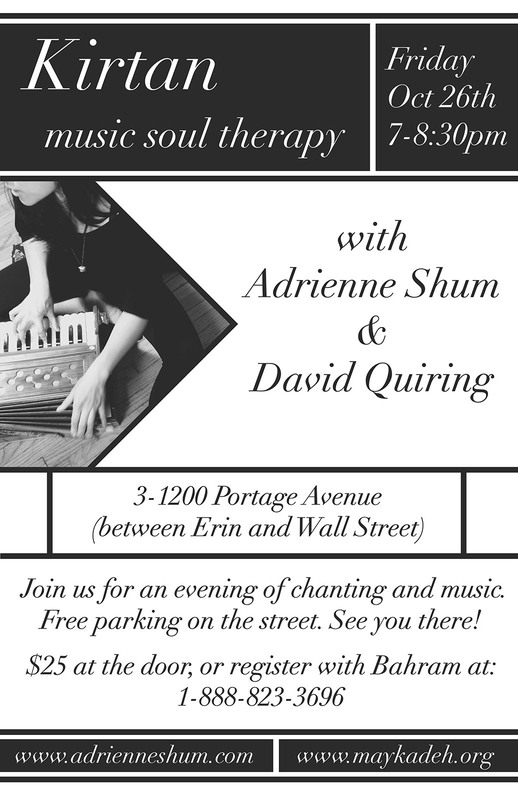 Join us on Friday October 26th, 7-8:30 pm ($25, 1200 Portage Ave, Mediation Building) for an evening of healing vibrations and sacred sound. If you have a meditation cushion/pillow, please bring one (some will be provided). 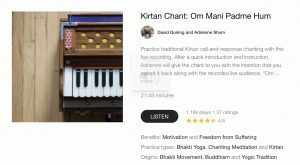 Kirtan is a beautiful and rejuvenating form of yoga. No singing or musical experience is required; if you can talk, then you can do kirtan!